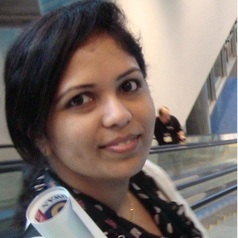 Dr Tejal Shah was awarded a PhD in April 2014, from the University of Western Australia, Perth, under the mentorship of Professor Ralph Martins. Following her PhD, Dr Shah has continued her work in Alzheimer's disease (AD) both at the Australian Alzheimer’s Research Foundation and the Centre of Excellence for AD Research and Care based at Edith Cowan University, Western Australia. Dr Shah’s roles within Professor Martin’s team include: A) under the Preventing/Delaying stream, she has been involved in investigating the efficacy of combined lifestyle interventions of computerized brain training and physical exercise and B) under the Diagnostics stream, she is playing a leading role in the development of a cost-effective eye camera for detecting biological markers in the eye in AD.